Piemonte (or Piedmont) is perhaps Italy’s most famous region for wine. Sitting in the far north-west of the country bordering the Alps, the region earns its literal translation “at the foot of the mountains”. There are 55,000 hectares under vine, however it is two small southern enclaves which have driven the area's prominence; Barolo and Barbaresco. Both share many similar characteristics, such as: a moderate continental climate, sandy or calcareous soils, significant vintage variation and of course the dominance of probably the country’s noblest grape variety - Nebbiolo. Nebbiolo, from nebbia meaning “fog”, appears in writings dating back as far as the 13th Century. The variety is finickity to grow. It buds early in the season and ripens late, with harvests prolonged as far as mid-October, exposing growers to both spring frosts and harvest rains. It favours the specific calcareous marls found to the north (Barbaresco) and south (Barolo) of the truffle-drenched town of Alba. Due to the difficulty in successfully growing and ripening the grape, it is generally limited to the warmest south to south-west facing slopes of Piemonte. Therefore, despite its fame, Nebbiolo only occupies 8% of the area under vine in Piemonte. Nebbiolo based wines are known for their pale colour, red fruit character, high acidity and exceedingly long life. In many ways the grape is similar to the legendary Pinot Noir, with one stark difference, there is a hell of alot more TANNIN. Unlike French regions (such as Bordeaux), who have centuries of fine winemaking behind them, the history of Barolo (and Barbaresco) is very recent. Only a handful of estates date back to the 19th Century and many were only established in the 1970s and 1980s. Grapes have been grown for centuries in the area, however historically there was little investment and growers did not bottle their own wine. Much has changed, with the region now flooded with investment and dominated by the Burgundian style “domaine model” of small, low volume boutique producers, often championed by star winemaking families who came to fame in the late 20th Century. Barolo is a DOCG appellation of ~1,900 hectares to the south-west of Alba, set in the rolling Langhe hills of Piemonte’s Cuneo province. The appellation is divided into 11 comunes, of which 5 are key: La Morra, Barolo (comune), Serralunga d'Alba, Monforte d’Alba and Castiglione Falletto. 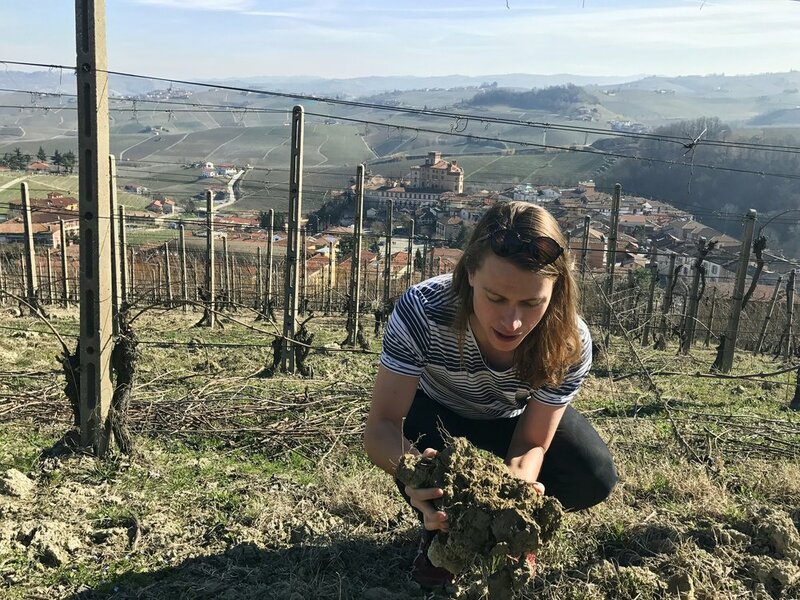 Soils are diverse, with compact Helvetian sandstone predominant in the eastern Serralunga valley (Serralunga d’Alba & Monforte d’Alba) and Tortonian marls with higher clay and sand content more common in the western Central valley (Barolo & La Morra). The wines are quite obviously impacted by the soils. Those from the east are typically more austere, powerful and long lived, whereas wines from the west tend to be more aromatic, velvety and approachable in youth. Whilst other (easier to cultivate) grapes are grown in the area, only 100% Nebbiolo grapes may be used for wines sold as Barolo. The appellation rules also dictate a minimum of 38 months ageing of which 18 months must be in oak. 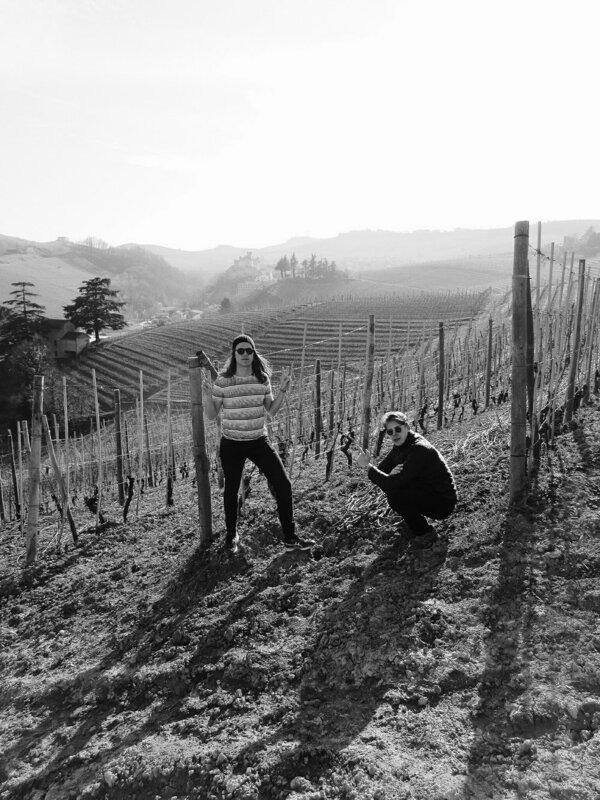 We had the honour of visiting 4 excellent estates across both Barolo (Massolino & Conterno Fantino) and Barbaresco (Sottimano & Marchesi di Gresy). Starting the day in Barolo’s eastern sub-region of Serralunga d’Alba, with Massolino. The Massolino estate produce ~250k bottles a year and have 38ha under vine, with 23ha falling within the Barolo region itself. Of their production, 45% is Nebbiolo, with Barbera, Dolcetto, Chardonnay and Moscato making up the rest. The winemaking style at Massolino is somewhere between the traditional and the modern. Modern in the sense that their winemaking focuses on delicacy and purity of fruit, yet traditional in their long grape macerations and eschewance of French barriques. Instead, their barolos are aged in old Slavonian oak (from Croatia and Austria) in a range of larger vessels from 500-12,000 litres. Interestingly they use an increasing amount of cement vessels for fermenting and maturing their wines, since they have found it gives more elegance. Their range was impressive, with the entry level wines representing great value. The highlight is naturally Massolino’s Barolos, which are an artfully tamed expression of this especially punchy sandstone-based terroir. Their single vineyard crus, produced in just 5-9,000 bottle quantities, range from excellent to outstanding.